unLock your samsung mobile: All Apple iPhone unlocking solutions for free. All Apple iPhone unlocking solutions for free. Hi friends, How are you? Many days later I am back to you. Today I shall tell you about All Apple iPhone unlocking solutions for free. I mean I will tell you how to unlock Apple iPhone. Today I'll give you some instructions of Apple iPhone if you read this instruction then very carefully then you can unlock your iPhone permanently, easily and effectively. How to network unlock iPhone for using with a different carrier? Unlocking your iPhone means that you can use it anywhere of the world with their different carriers. Generally iPhone might be locked to a carrier. Unlocking iPhone means that you can use it with different carriers network. To contact your carrier and unlock your iPhone, use these steps. Note: If you don’t want to change your current carriers and your device is locked because you forgot the password or passcode, then you don’t need to use the steps in this article. Learn from here - how to reset your password or passcode. Actually Apple can't unlock your iPhone for using with a different carrier because they have locked it for using your current network. They don't want that you use another carriers. For this, only your carrier can unlock your iPhone it may any model. Remember, Only your carrier and iPhone Unlocking service provider can unlock your iPhone. So Contact your carrier and request an unlock. Your account might need to meet requirements for unlocking. After you submit a request, it might take a few days to complete your request. To get your request's status, contact your carrier. If you have a SIM card from another carrier or other network providers SIM Card than your current carrier or network. Remember: You must do this steps, because you need to cheek it that you iPhone unlocking is successful or failed. Step 1: Remove your current carrier's SIM card and insert the new one of different carrier or network. Step 2: Set up your iPhone again. Step 3: If your iPhone works properly with the different carrier's network SIM Card, I mean please check properly and make sure that Check that the iPhone is able to connect a phone call over the new network. then you will realized that your iPhone unlocking is successful. Step 1: Create a Back up your iPhone to your memory card. Step 2: After making a backup, erase your iPhone (including all files and folder and settings). Remember: When you will erase your phone of course remove your memory card and sim card from your iPhone because you may lost all data and important file and folder from your sim card and memory card. Step 3: Restore your iPhone from the backup which you have just made. If your iPhone unlocking is successful then your phone will work properly with any networks sim. or You will get this message in iTunes or on your device If your iPhone unlocking is not successful: "The SIM card inserted in this iPhone does not appear to be supported. Only compatible SIM cards from a supported carrier may be used to activate iPhone. Please insert the SIM card that came with your iPhone or visit a supported carrier store." Restore your iPhone to factory settings which you have created a backup. and Contact your carrier to make sure that they applied for the unlock in their system. Read more info about the unlocking system of various carrier or network service provider. If you purchase your iPhone from Vodafone then you can unlock your Phone by this ways. To unlock Vodafone's iPhone, you need to fulfill all requirements of Vodafone then you can unlock it. Vodafone requires you to have an account or know the details of the person who did. If those details are already available, you can go to Vodafone's official website and use Vodafone's online unlocking form. It may take up to 48 to 72 hours for the company to get back to you and up to 10 business days to unlock it, and it's free to do so. If you purchase your iPhone from Three then you can unlock your Phone by this ways. Three makes things very simple system, you'll glade to know that. On Threes official website, the carrier states that any iPhone purchased after 1 January 2014 from Three is automatically unlocked as soon as you connect it to WiFi or connect it to iTunes. But if you purchased your iPhone before 1 January 2014 , then just you need to connect the iPhone to iTunes and restore the device to unlock it. if you have any important data then create a backup fast in your memory card after unlocking your iPhone, you can restore it again. Then you will not lose any data from your iPhone. If you purchase your iPhone from 02 then you can unlock your Phone by this ways. If your iPhone is locked to O2, you need to fill up an online form to unlock it. If you're a Pay Monthly customer you can unlock your phone at any time, but you'll still be required to finish paying for the rest of your contract. Pay & Go O2 customers are required to wait for minimum 12 months before they can unlock their iPhone. That's according to O2's official website, which also claims that it'll cost £15, but a O2 representative said they could unlock all O2 iPhones for free. if you're not an O2 customer, you can try to put a non-O2 SIM card into the iPhone, plug it in to a computer and then open iTunes to unlock the iPhone. If you purchase your iPhone from Virgin Mobile then you can unlock your Phone by this ways. If you purchased from the Virgin company within the past year, then your phone will be unlocked already, but some older iPhones might not have the same luck. The good news is that if you update your iPhone to iOS 8 or later and it'll be unlocked for you. Note: updating iOS will install the most recent version that your device is capable of running, so at time of writing most active iPhones will get iOS 10. This is fine for these purposes, and has lots of nice new features too. But If your iPhone is not compatible enough for updating recent version of iOS - that is, if it's an iPhone 4 or older - you will be able to perform a full restore of your iPhone to unlock it. Don't forget to back up your data first, if you do this work. If you purchase your iPhone from Tesco Mobile then you can unlock your Phone by this ways. If you've been with Tesco Mobile for more than 12 months, or if you comple your contract, you will get an unlock code from Tesco for free by calling 0345 301 4455 and choosing "unlock your mobile". If you purchase your iPhone from Giffgaff then you can unlock your Phone by this ways. Giffgaff has a easy handy tool that helps you figure out how to unlock your Apple iPhone from its network, which you'll find here. You can also find online services that will unlock your iPhone This is an alternative way to contacting your carrier and asking them to unlock. The iPhone is to use a mobile phone unlocking service. There are many retailers in most areas who will arrange an unlock code for a small fee. In this case you should contact with a reputable companies, , but we would advise against it. If you do decide to use one. Step 1: Power down the phone: hold down the Sleep/Wake button and swipe your finger across as directed. Step 2: Use the SIM card tool (or a straightened paper clip) to eject the SIM card holder from the side of the phone. Step 3: Remove the old SIM card from the card holder. Place your new SIM - from a different network - into the card holder. Step 4: Reinsert the SIM card holder into the iPhone. Step 5: Make a phone call, and check that the iPhone is able to connect over the new network. If so, it's unlocked! Step 1: Back up your iPhone. Step 2: Erase your iPhone. Step 3: Complete the setup assistant and restore from your backup. Before unlocking an iPhone I shall try to tell you - What You Should Know About Unlocking An iPhone, because I think you must know this important thinks about this iPhone. So read this instructions attentively. Why should you know before unlock your iphone? After unlocking your iPhone, you will enable to use any carrier sim card support. It's useful on multiple occasions: when you want to use phone abroad without roam fees (using sim card bought there) or when you want to change carriers. If you are able to unlock your iphone once, then your phone will not re-lock itself. So you don't need to unlock it again. You Do not need any technical knowledge for unlocking your iPhone. Unlocking is 100% safe for your phone. It will not harm your phone. Yes, it is completely legal to unlock your iPhone if you've complete total payment of your phone or you purchased it outright unsubsidised. However, if you're still in the process of paying for your contract then it is not legal to unlock. It means you don't fully own the iPhone yet, so it is the best way to unlock when you will pay fully. you're best to check with your carrier before unlocking it. But If you are not sure that your iPhone is locked or not, Then read this tutorial which may help you to make sure that your iPhone is locked or not. The issue usually occurs if you've purchased your iPhone second-hand or inherited one from a friend or family member who has updated to a newer model. If it's locked, you'll find that the iPhone isn't working on your mobile network, and that's because it's tied to a different network. 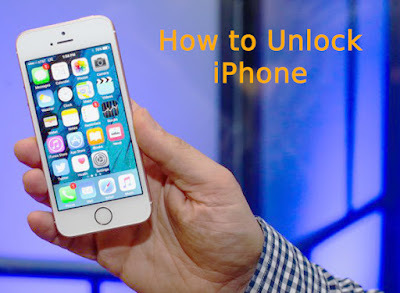 If this tutorial helps you to unlock your iPhone, then share to your friends. Very informative tutorial on "All Apple iPhone unlocking solutions for free." This tutorial has increase my knowledge iPhone unlocking code. How to tell if the unlock worked? thanks for sharing this. Really I was looking for. You are most welcome in my blog.